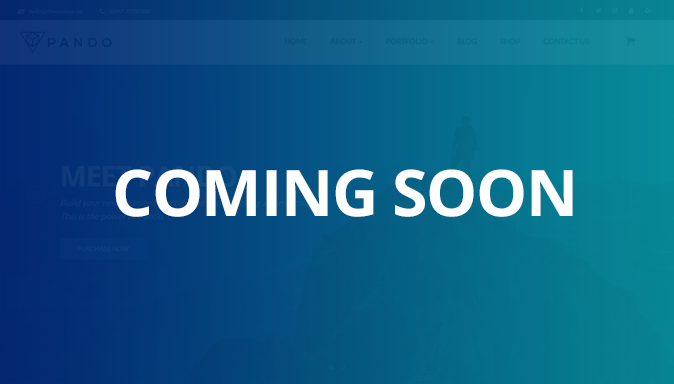 Import a ready demo with one click and start editing your website in few minutes! 4 demos are already available in the pre-release version, ready for use. A total of 8 demos will be released on official launch. And more in the future. A complete demo that can be used for any purpose. 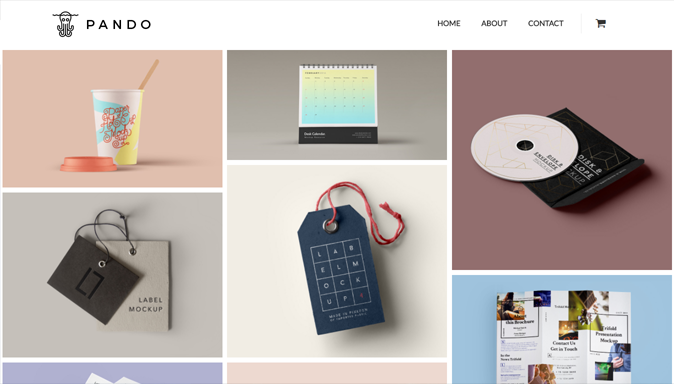 A agency focused demo, with modern design with and a beautiful showcase portfolio. 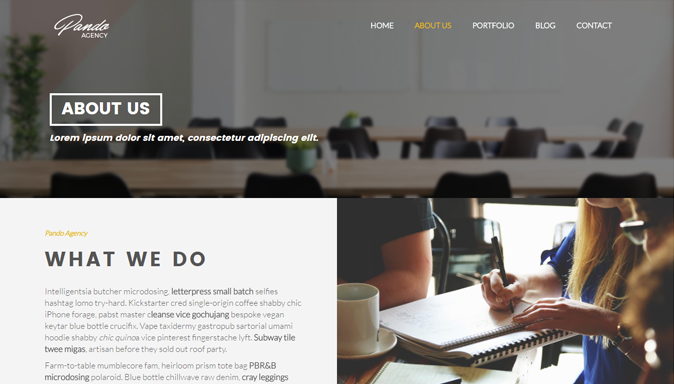 A clean and minimalist portfolio, with a focus on projects. Ideal for designers and photographers. 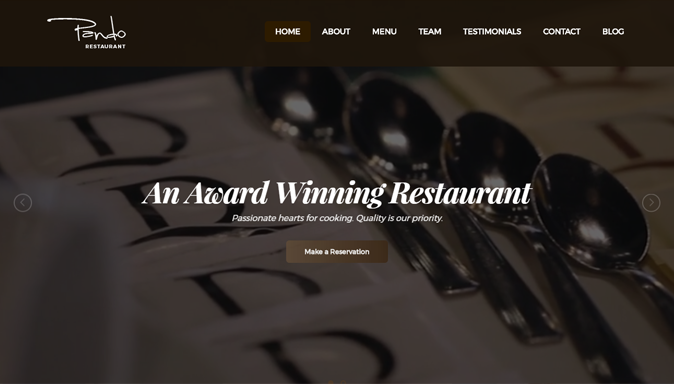 A complete restaurant website. With introduction video and dishes menu. A GYM/Fitness Demo. Work in progress. Will be released soon. A App/Startup Website. Work in progress. Will be released soon. A classic blog demo. Work in progress. Will be released soon. A complete e-commerce website. Work in progress. Will be released soon. This is a pre-launch offer, buy now to save money. You will also receive all updates and support for 1 year. No coding skills required. 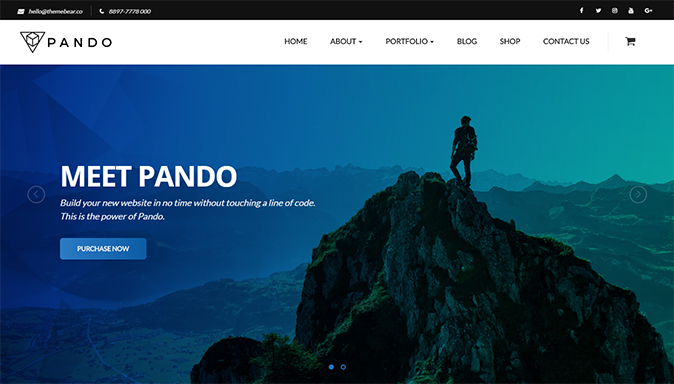 Pando is powered by the King Composer, a professional page builder plugin for WordPress coming with top-notch features. The theme comes with a PRO version license of the plugin (saving $ 29! ), enabling premium features and the visual editor for free. If you prefer, Pando is 100% compatible with the largest page-builders on the market, such as Visual Composer or Beaver Builder. Import one of the demos and create a website for a specific business. Pando is 100% compatible with WooCommerce, install the plugin and start selling online! Pando has two layout options for blog (classic and masonry), and more will be released in the future. Pando is 100% GPL, which means you buy once and can use as many times as you want, for you or your customers. Use the page template for landing pages and build a new page 100% from scratch using the visual editor. You can build a website to showcase your services and get more customers.